From ancient volcanos, rugged mountain ranges and the Gondwana Rainforests of Australia World Heritage Area, Queensland offers some of Australia’s most beautiful walking trails. In the Gold Coast Hinterland you will enter a world of pristine rainforests where you will delight in a chorus of diverse and wonderful birdlife from the striking regent bowerbird to the rare Albert’ Lyrebird. Whilst the Scenic Rim offers magnificent forest mountain ranges and spectacular views. Join us on one of our two pack free walking experiences. The best time for walking tours in this region is June to August each year. 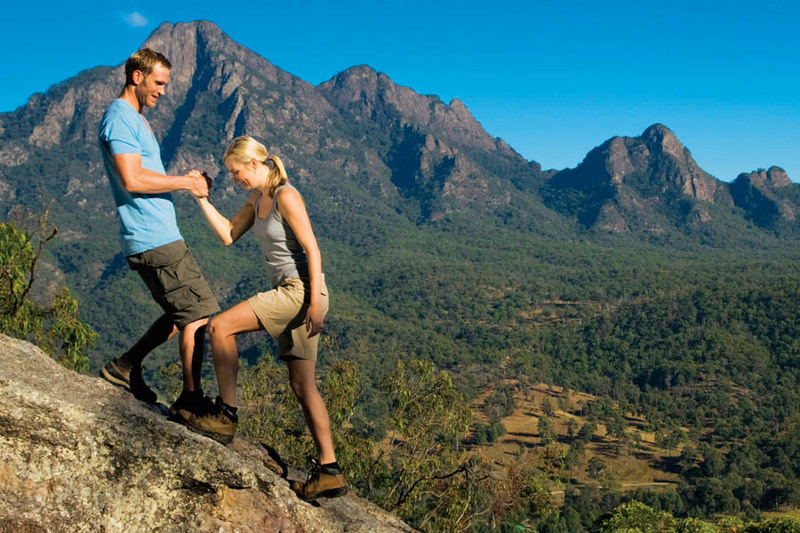 3 day walking holiday showcasing the best walking trails of Queensland's vast Scenic Rim region. The Scenic Rim is a group of forested mountain ranges forming an expansive quarter circle ridge, that is part of the Great Dividing Range and offers breathtaking scenery. 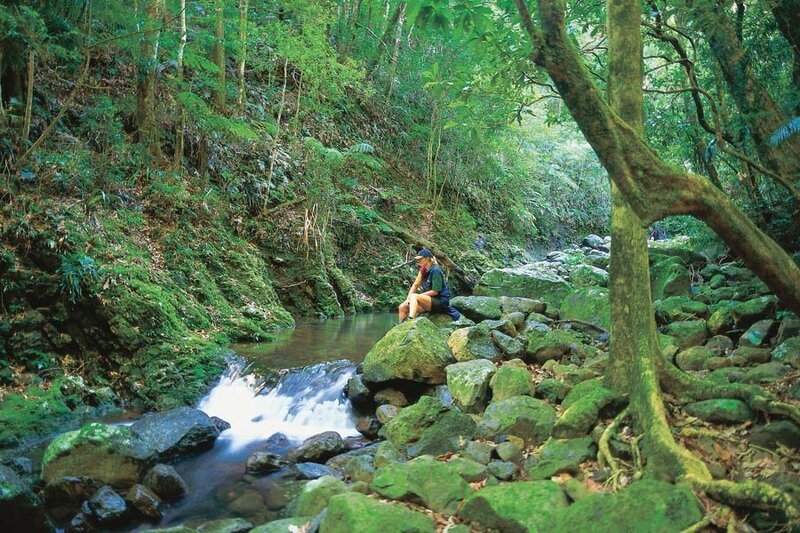 This stunning 3 day walk traverses the mountain ranges of Lamington National Park from Binna Burra to Green Mountain in the Gold Coast Hinterland, exploring a wonderland of stunning pristine rainforests, mountain ranges and prolific birdlife.